Welcome to Week Two of 'Bilingual Children'. There was some great feedback last week so thank you to everyone you came forward, asked questions and told me what you would like to read. So I've been using an audio CD with Italian/English nursery rhymes. If you don't go mad yourself listening to 'Old MacDonald' in another language they can be really useful! 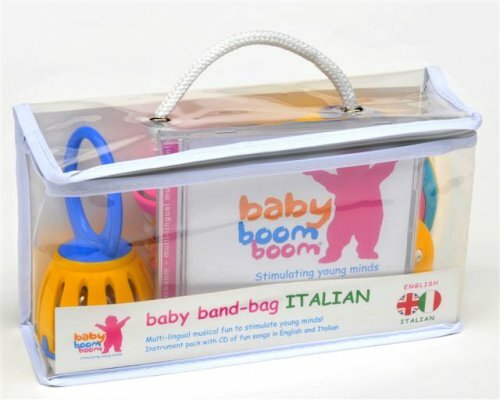 This one is called Babyboomboom. They come in a variety of languages. If the CD is available in your language I've put it into the Bilingual Resources page. The songs are all the recognisable nursery rhymes with one verse in Italian and then the next verse in Englilsh. At first the children found it funny when the Italian verses began but as they are started to recognise the music they loved it. I've also used these CDs at parties/play dates when I have other bilingual children over. They seem to enjoy the fact that they know the music even if not the words at first. They then want to join in quite quickly. We decided that this week where possible we will try and use words of the day that are opposites of each other or have similar meanings. It's quite a useful exercise for anyone learning a language. You look at the word 'Big' for example and then realise that actually if you are going to use this, it would be useful to know what 'Small' is. So this week we've focused on some of these pairings to try and give my eldest child a chance to expand his sentences. 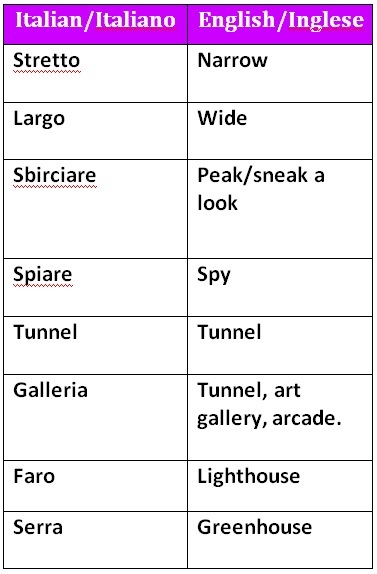 We've also noticed that this week my daughter has started to try and use the Gerund form of Italian verbs. In English this would be what we sometimes call a verb being used like a noun. Meaning something that ends in 'ing'. Such as 'I was cycling', 'Eating' etc. In essence she tried to tell me she was dancing but instead of using ballare (to dance), she correctly told me she was 'ballando', dancing. She has also demonstrated that she's starting to understand how a word changes in the plural form. She has a little red figure a 'pupazzo'. This means puppet. I asked her if she had some pupazzi, which means puppets, plural. She told me "No Mamma, pupazzo because there's only one". It's really important to notice these moments and even write them down. This shows clearly how she's progressing. There was a stage where she would change the ending to pupazzo or pupazzi correctly but she didn't know why. She was just copying what she heard her father say. Now she has thought herself where she thinks the rule is and can explain it. It's easy when raising children with languages to feel your work and effort is not having any effect. That you should give up or it's not 'going in'. This is rarely the case it's more that with very young children like my daughter who is 2.5 years old. She can't always explain whether she understands something or not. You have to look for evidence and keep the faith. Which toy is your favourite? Is that the blue one? No? Ok which one is blue? Then you can see have they learnt 'Blue' in the second language? You can do this with almost anything around you. Think about focusing on one group of words or one topic. Such as do you have a bowl of fruit on the table? Even if your child doesn't speak yet can they hand you an apple? If they can when you ask for it in your desired language then they do know that word! It's gone in and one day they will say it back to you! I'm sure the thought of role play makes you roll your eyes and hide! I used to hate this activity when used in the work place! However in this example I'm literally talking about playing with your children. My Husband is an expert at this. As you'll see on the video here he will pick out a story in his head. Such as Floppy the dog (A dog in a book my children love) is going to be our dog. He's going to come on a car journey with us. "Right we're going on an adventure, everyone come and get in the car. No you have to open the car door first". They all do the movement of opening the car door. They make a creak of the door opening. They all get in the car (sofa). They then start driving and talking in Italian about where they are going on the adventure. Suddenly Floppy the dog jumps out of the car window! The car comes to a screaching halt. They all make the noise. My Daughter gets out of the car (Opening and closing the door) and starts calling Floppy. He doesn't come. Throw him a ball my Husband says. My daughter does in Italian and tells Floppy he can have a treat if he comes back. Imaginary Floppy comes back again. If the children don't know how to ask we use simple sentences in Italian and then they copy. This is a really quick example of how easily and without buying anything you can build ten minutes language learning into your day without trying. The children just think you are playing so there's no proper 'Studying' going on. I hope you found some of these tips and insights useful about our Bilingual Week? What have you tried this week and have you had any challenges? Do you have older children who need some career advice or would love to find a job around school hours? Take a look at Jobs For Teens who have a wealth of free information on roles for teenagers in each age group.